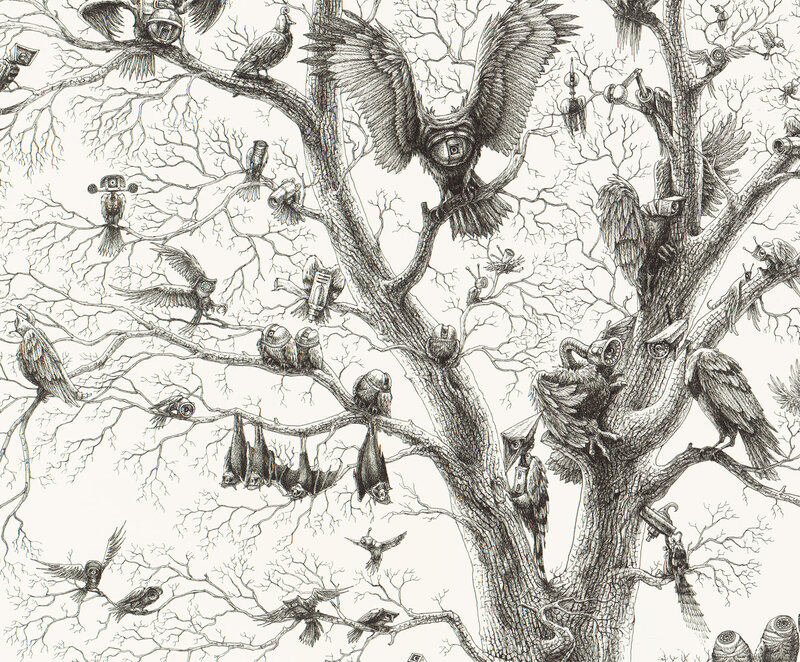 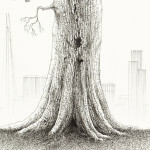 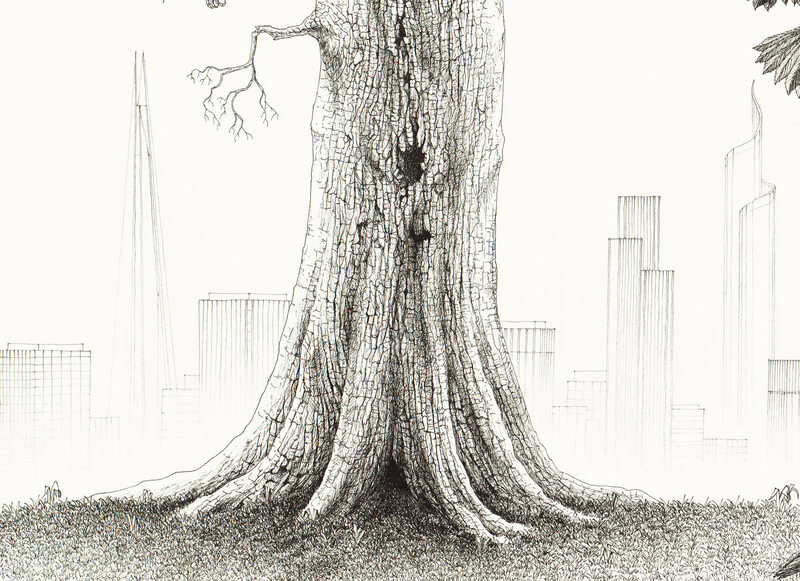 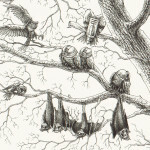 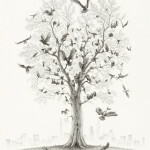 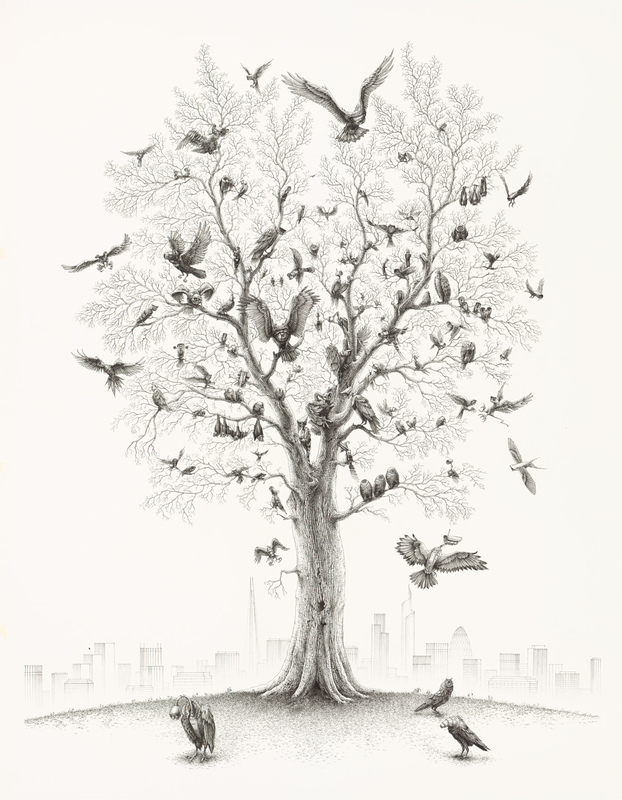 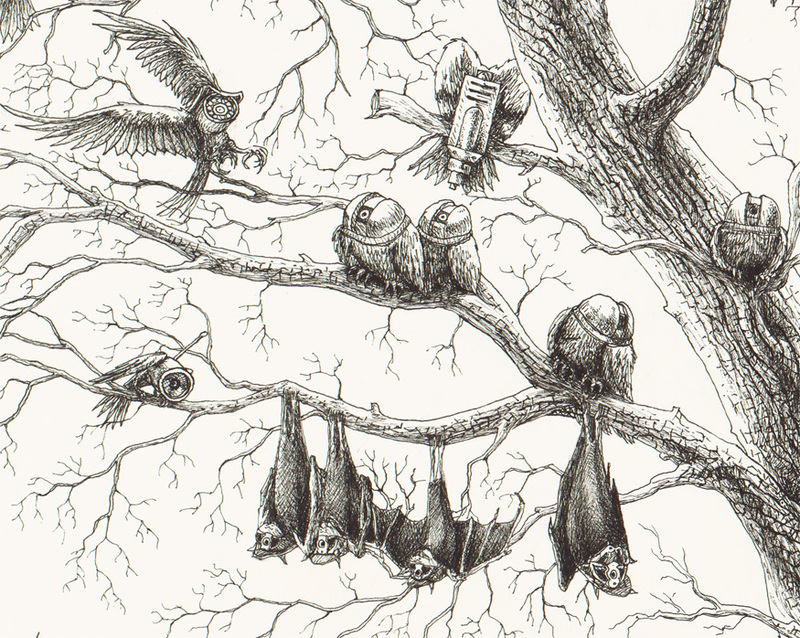 About one hundreds hybrids or "cctvirds" populate a big tree located on top of a small hill facing the city of London. 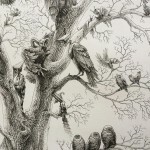 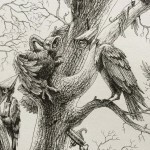 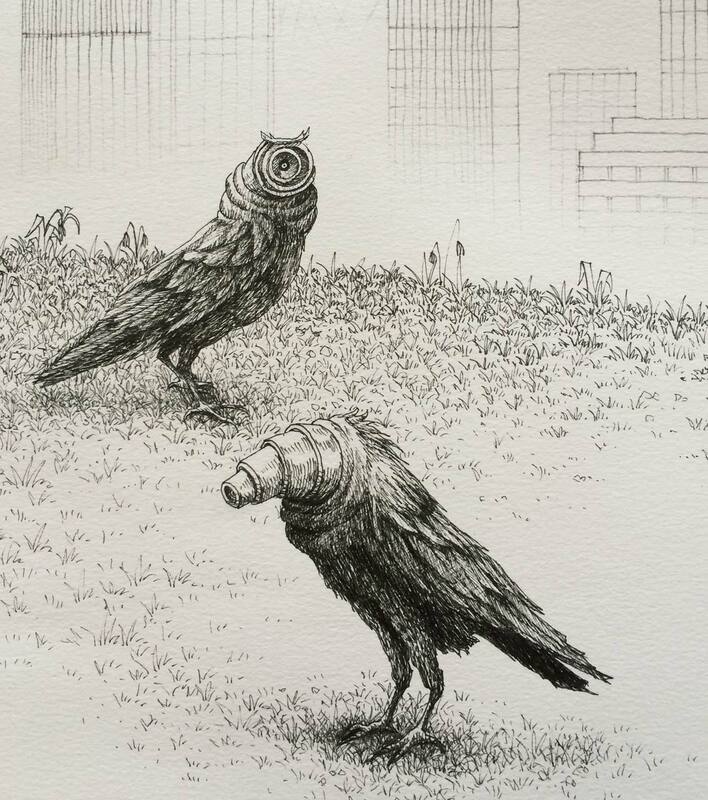 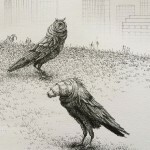 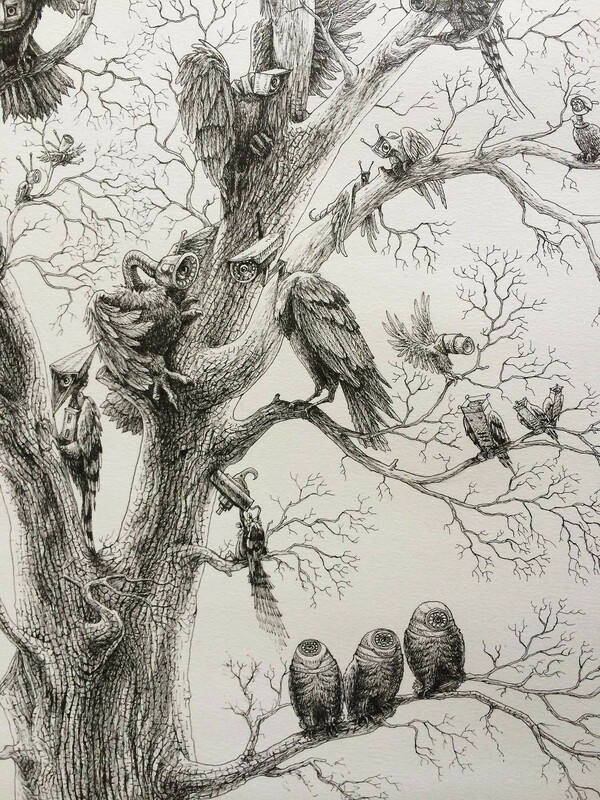 The drawing was made using both pen and pencil (Created by Gianluca Bonomo, Chanon Treenet and Adriano Vessichelli). 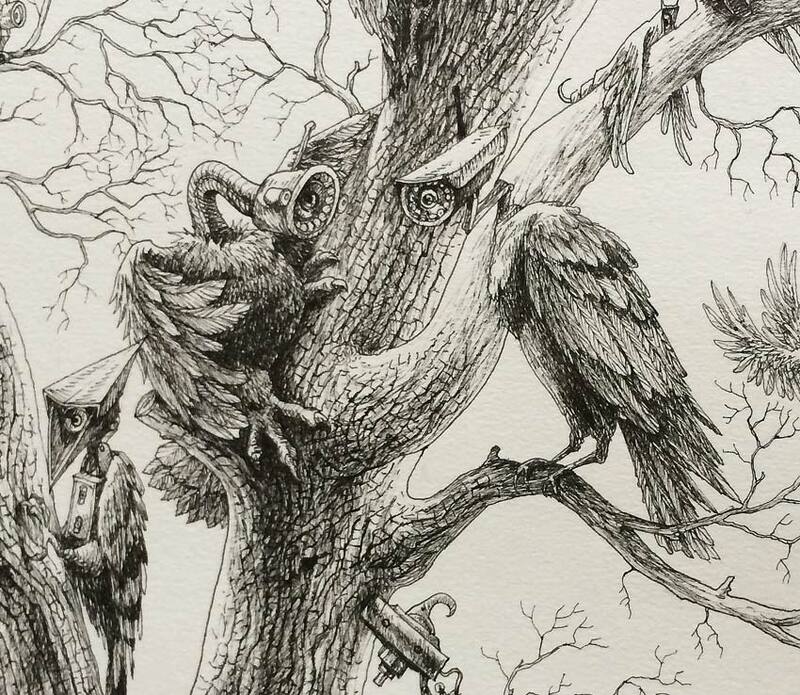 Originals and fine art prints are both for sale, email luca[at]cctvylle[dot]com if you are interested in the originals, prints can be purchased directly here on our site by simply adding to cart.